In 1976, the idea that marijuana could be a medicine was generally taken as laughable. Then a glaucoma patient named Robert Randall won a court ruling that he needed the drug to keep from going blind. His case started a movement that could finally make headway here. The Illinois House is set to vote this week on a bill to allow the therapeutic use of cannabis. Illinois is not exactly on the cutting edge here. California took this step in 1996, and 18 states now grant access. Polls have consistently found a large majority of Americans believe that pot has medical uses and should be available for doctors to prescribe for treating illnesses. They have good reason for those convictions. In 1999, a panel of the federal Institute of Medicine concluded, “Scientific data indicate the potential therapeutic value of cannabinoid drugs . . . for pain relief, control of nausea and vomiting, and appetite stimulation.” The American Medical Association has urged the federal government to allow research on the medical uses of marijuana. Illinois legislators have repeatedly declined to let patients gain access to a drug that many say offers relief they get from nothing else. But lawmakers finally may be ready to pass a bill sponsored by Rep. Lou Lang, D-Skokie, creating a process to allow access to those with serious medical needs. The nice thing about the delay is that Illinois has had the chance to learn from the good and bad of policy in other states. Under this measure, patients whose doctors prescribe cannabis would be able to get it, but under sensible controls. In California, often decried for lax regulation and wide-open access, patients can grow their own pot, get prescriptions from doctors who work at marijuana dispensaries and qualify for vague ailments. Lang’s bill is designed to make sure legalization of medical marijuana does not amount to de facto legalization of recreational marijuana. To that end, it requires patients to obtain prescriptions from doctors with whom they have pre-existing and ongoing relationships, and only for specific conditions, including cancer, HIV and multiple sclerosis, but excluding pain and mental illness. Patients would have to register with the state health department, undergo a background check and get an ID card. The number of dispensaries would be limited to avert an explosion of storefront outlets, and they would be barred near schools, playgrounds and churches. Patients would not be allowed to grow their own pot, unlike in California. They would be permitted only 2.5 grams every two weeks — also unlike the Golden State, which imposes no limit. The bill requires drivers suspected of using pot to submit to field sobriety tests, on pain of having their licenses suspended. It’s important to give doctors and patients the freedom to use cannabis for whatever medical value it has. It’s also important to treat it as a potent drug whose unchecked proliferation can bring troublesome side effects. This bill does both, and it deserves to pass. 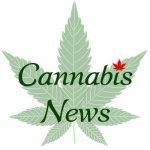 Poll Breaks for Legalized MJ: What Happens Now?